Aging in place is a term used to describe a person living in the residence of their choice, for as long as they are able, as they age. This includes being able to have any services (or other support) they might need over time as their needs change. A long-standing stereotype has been thoroughly debunked with new figures from Statistics Canada showing that 92% of all seniors aged 65 and older are living at home, rather than in collective dwellings, such as nursing homes or senior living communities. 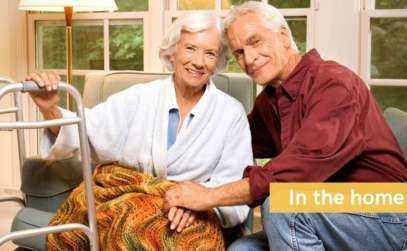 It is known that moving to a senior living community can be complicated and expensive. Moving from the home where you are very comfortable and have built so many memories may not be not be the best option. With so many seniors looking to age in place there has been wide-ranging advancements and innovation in home modifications and access to in home care services that help to ensure safe in-home aging. 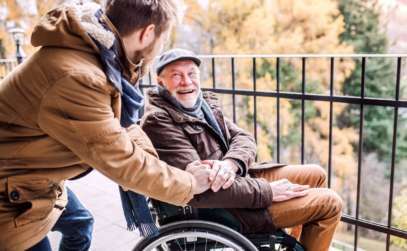 For a senior to remain independent at home, it often requires the senior to make modifications so that a senior’s home is as safe as possible and can meet one’s physical and cognitive needs as they age. In some cases, it also may require the coordination of home care services that specialize in working with seniors, such as Vytality at Home – the best choice for Calgary Senior Home Care. As we age, there can be changes in a person’s cognitive, medical and physical conditions. As such, it is important to consider making modifications to the home to allow for the senior to remain as independent as possible in a safe environment. It is recognized that seniors may have changes in their medial status such as balance, cognition, mental health, nutrition, sensory changes, bones and joints. These changes need to be considered when making the decision on how you will modify you home to meet all your current and future aging needs. To make the home more comfortable and safer you can start with removing tripping hazards such as area rugs and adding additional lighting throughout the home, censored lighting is a great addition. Installing pull out shelves and a kitchen island for safe food preparation can be a great help. Simple changes from door knobs to lever style handles can help immensely as motor skills change with age. Adding handrails in key areas of the home, chairs with arm rests or a transfer pole near your bed can help regain lost independence and allow for additional home safety. In the bathroom, an elevated (raised) toilet seat and grab bars can make daily living activities much easier. If you love having a tub, you may want to look at some of the great specialized walk in tubs by Safety Bath that allows safe entry and exit. Additionally, the use of hands-free technology like faucets, soap dispensers, thermostats, door locks and lighting are all easy to install and affordable. If you are having challenges with your gait or balance and need access to your upstairs and bedrooms; it may require you to install a stair lift, such as the Stannah or Handicare models. Either brand is available in a straight run or curved design depending on your stairwell. Completing home modifications can make a big difference in a senior’s ability to remain at home safely and happily. However, whether you choose to remain in your current home or purchase a new one, you may need help with care service. Many agencies offer these services, and it may be difficult to find the one that fits your needs and can ensure consistency in home care services with their caregivers. Calgary locally owned and operated, Vytality at Home prides itself on creating exceptional experiences and its owners have a long history in caring for seniors and their care teams. They provide free in-home assessments to ensure that your care is customized and meets your needs. They also have an app that allows you choose, schedule, rate, communicate and pay for their caregiving services. All in the palm of your hands- so convenient.